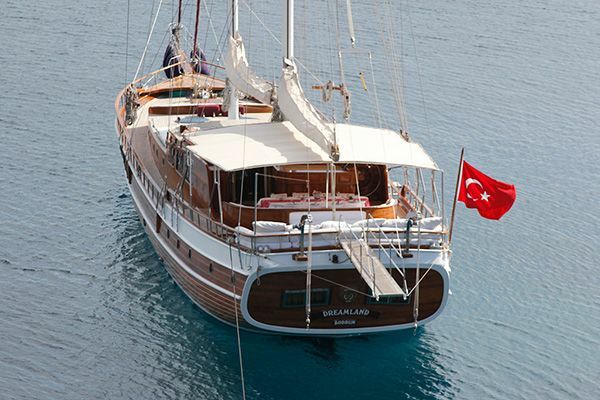 Gulet JOANNA K is a lovely motor sailer of 72 feet newly refit in 2016. 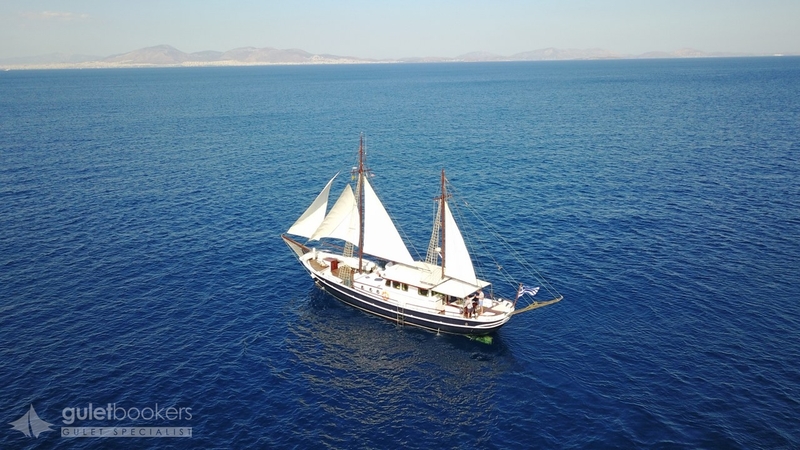 She is designed in the typical Greek style offering simple comfort while looking like a jewel of the Mediterranean as she sails amongst the islands and in and out of ports. 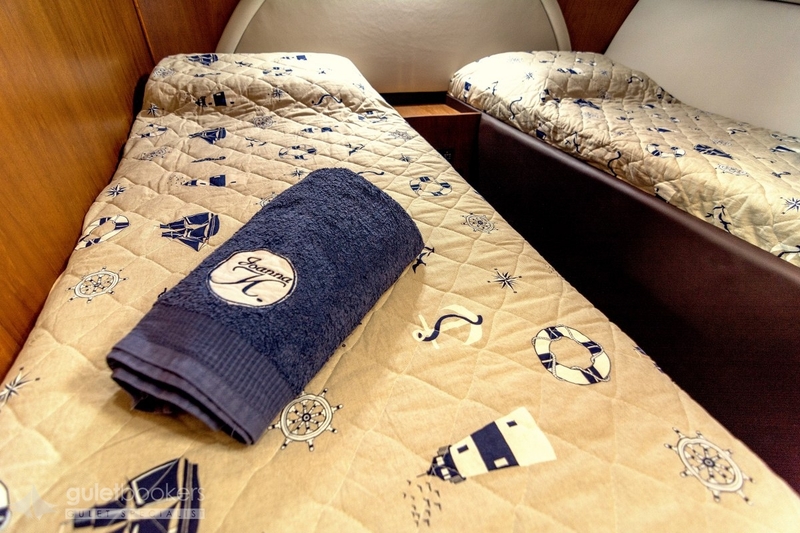 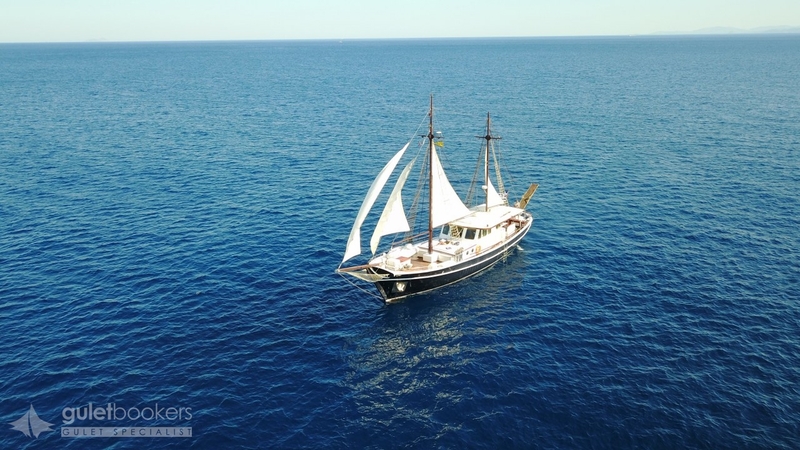 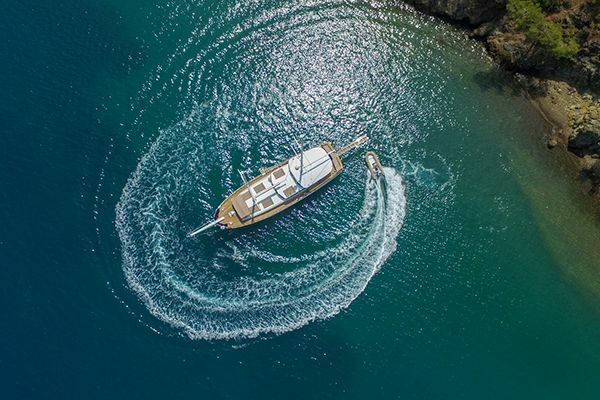 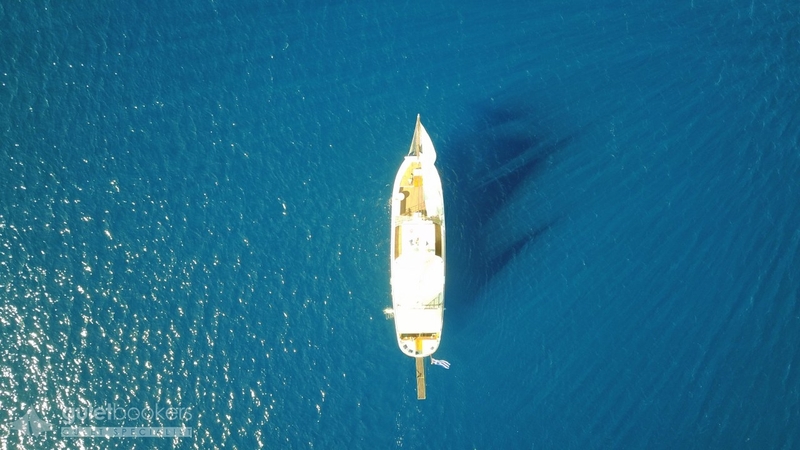 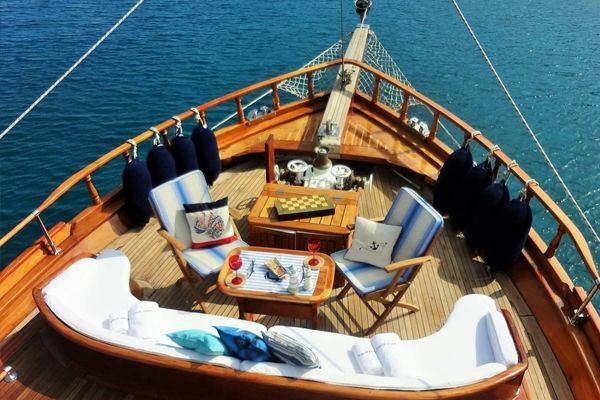 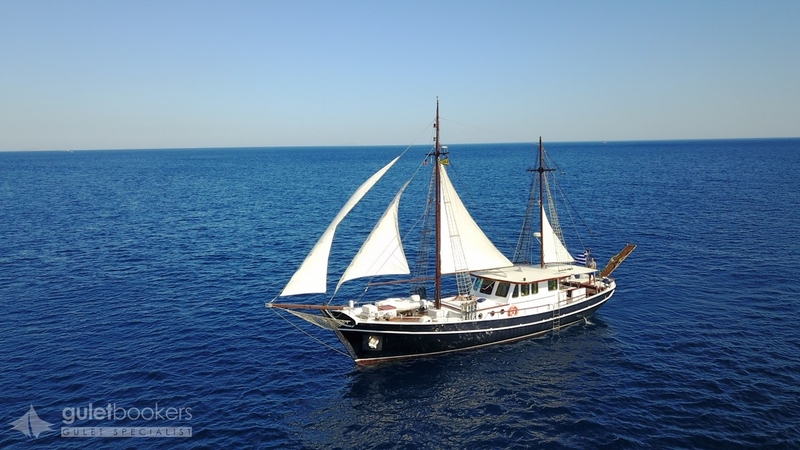 Gulet yacht Joanna K accommodates up to eight guests in four cabins: two cabins with two single beds each and private facilities and two double bedded cabins that share a facility. 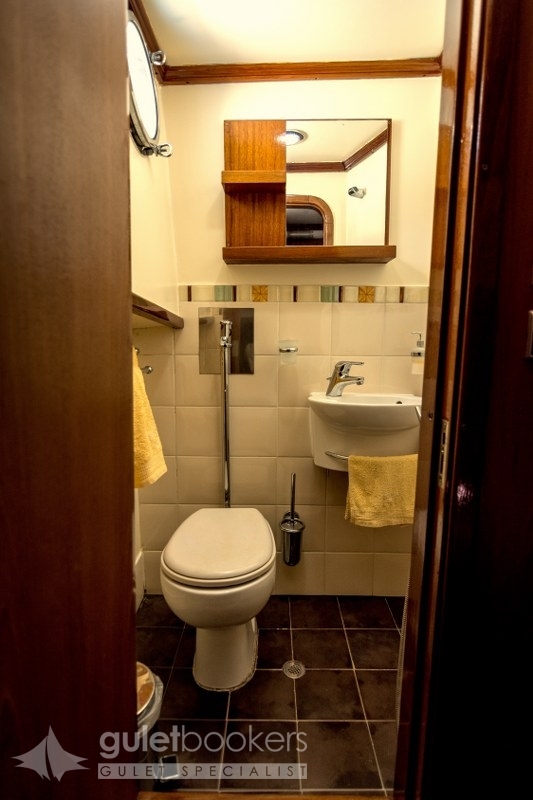 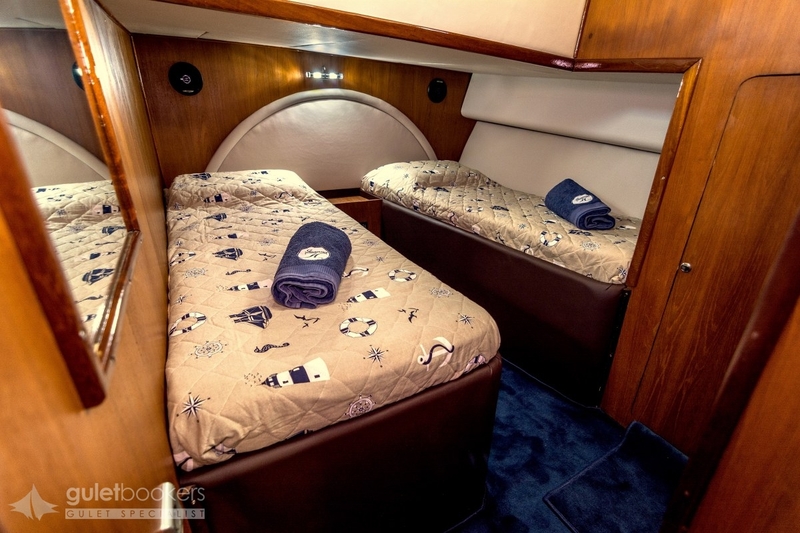 Each cabin on boat Joanna K features radio and a mini fridge. 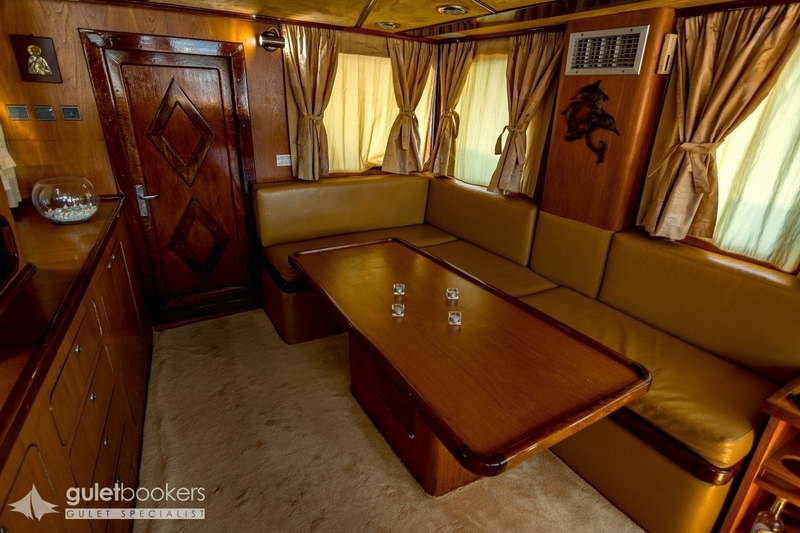 The salon comfortably accommodates all eight guests and has a TV LCD with DVD. 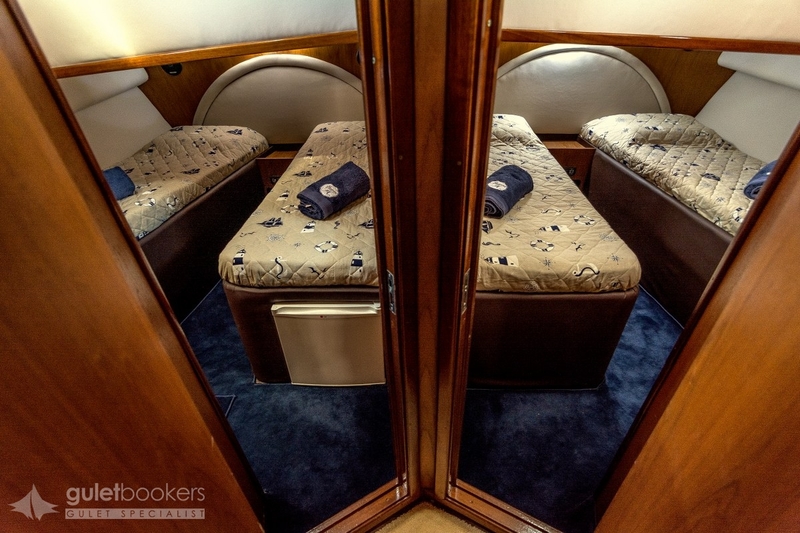 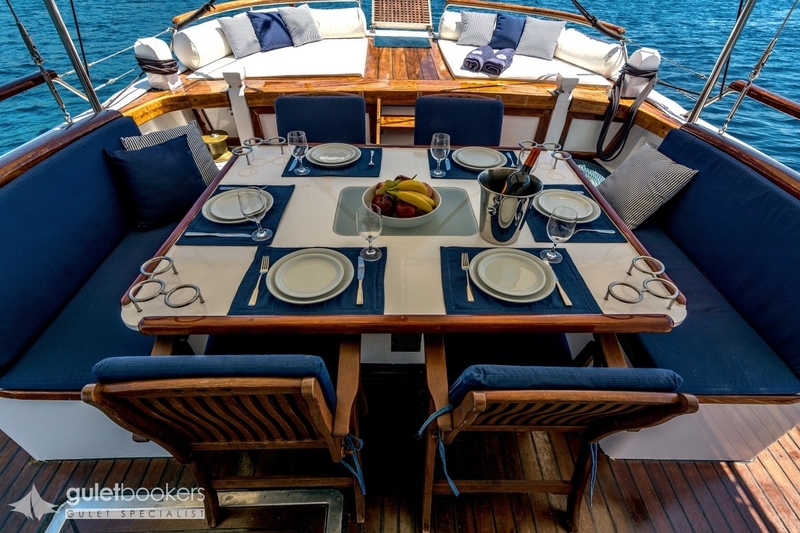 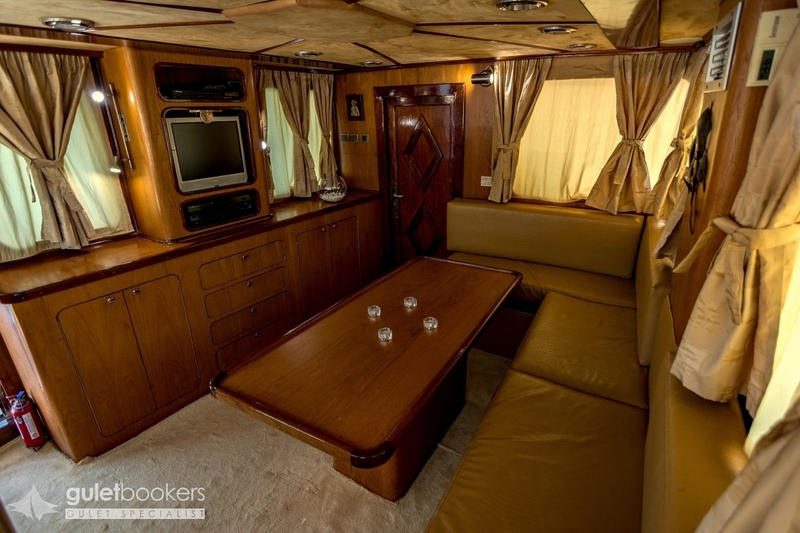 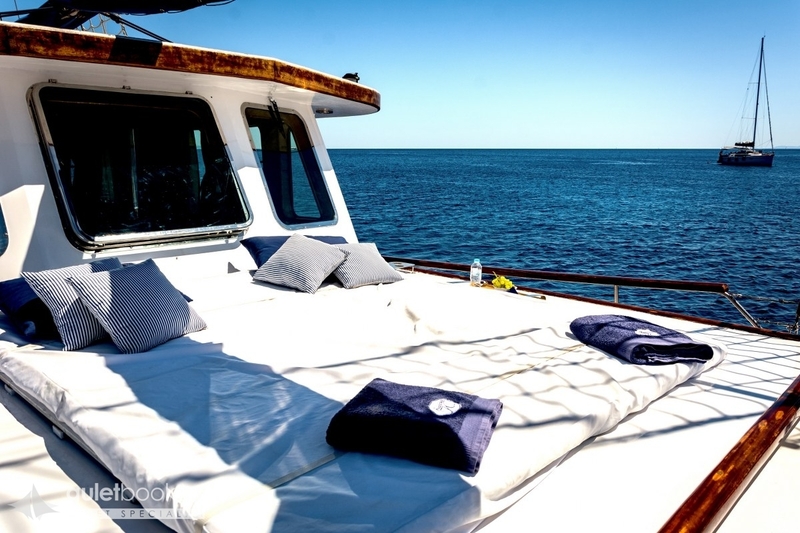 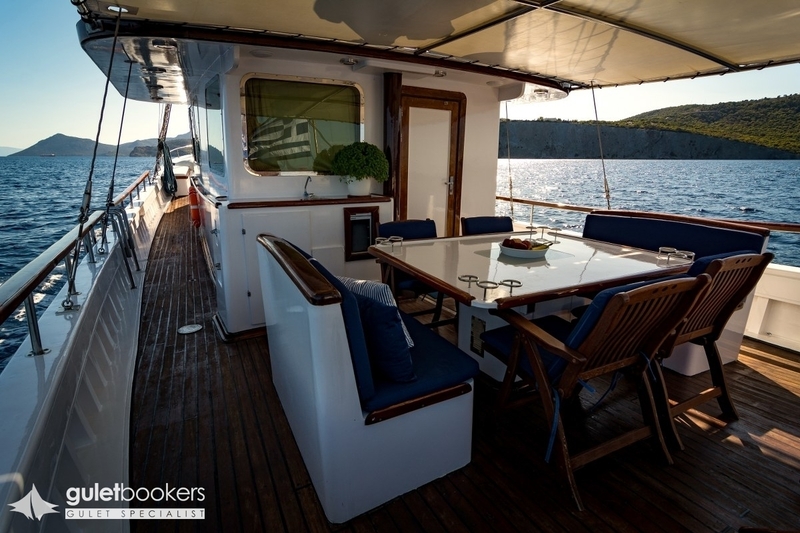 Her aft deck is perfect for al fresco dining and sun bathing in the ample lounge space. 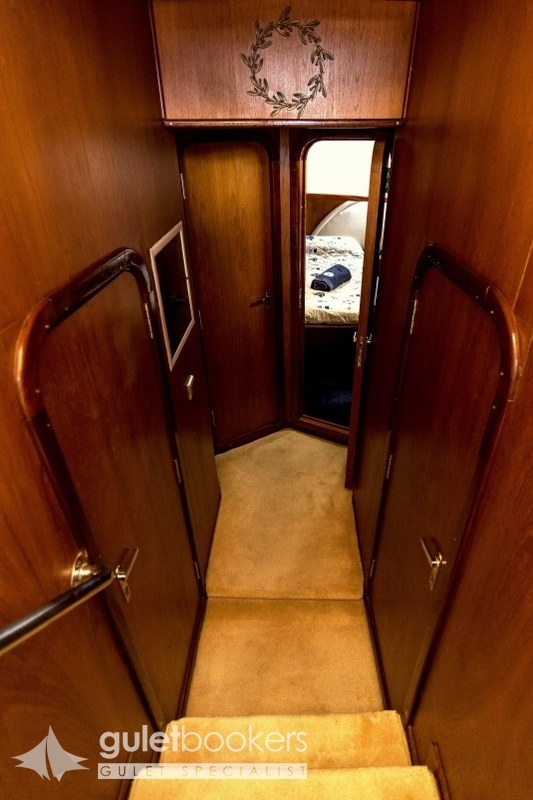 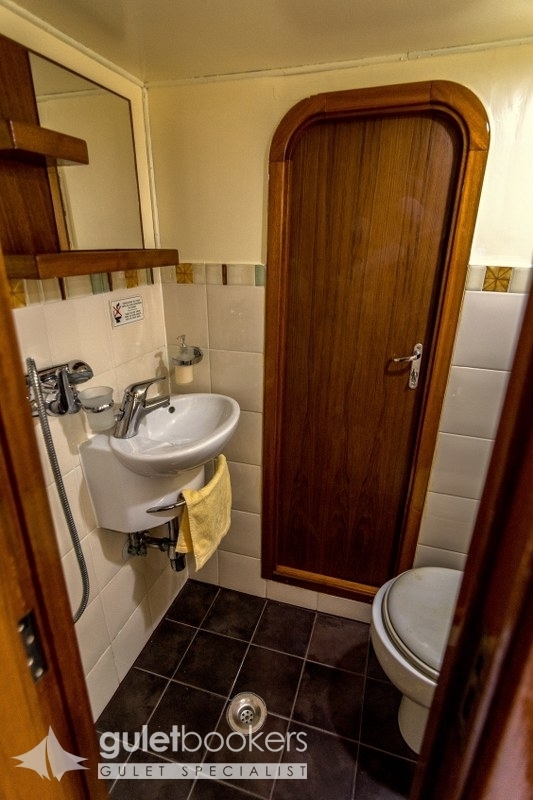 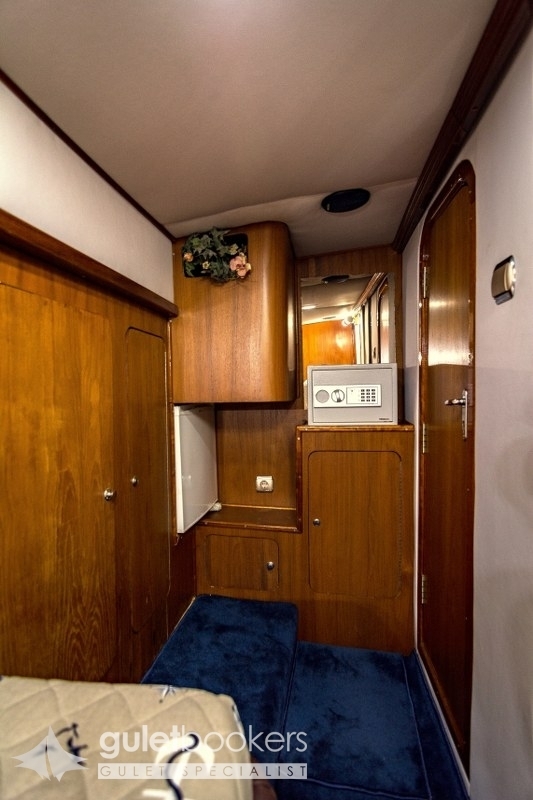 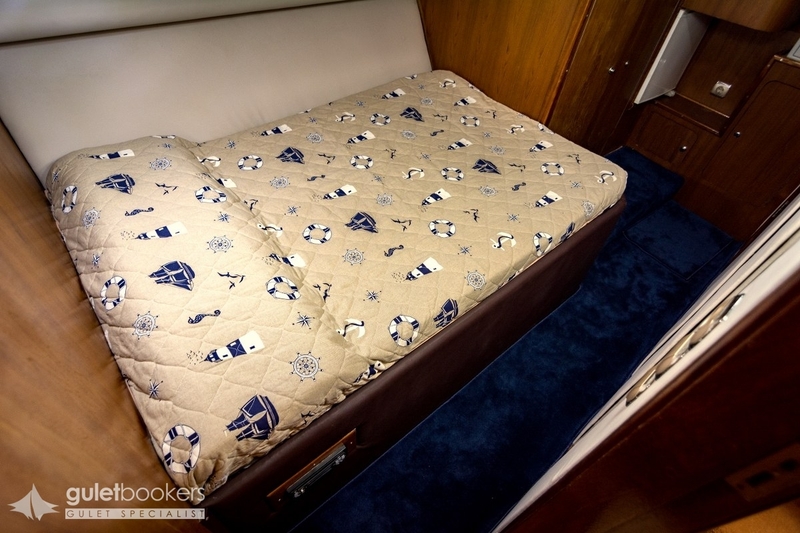 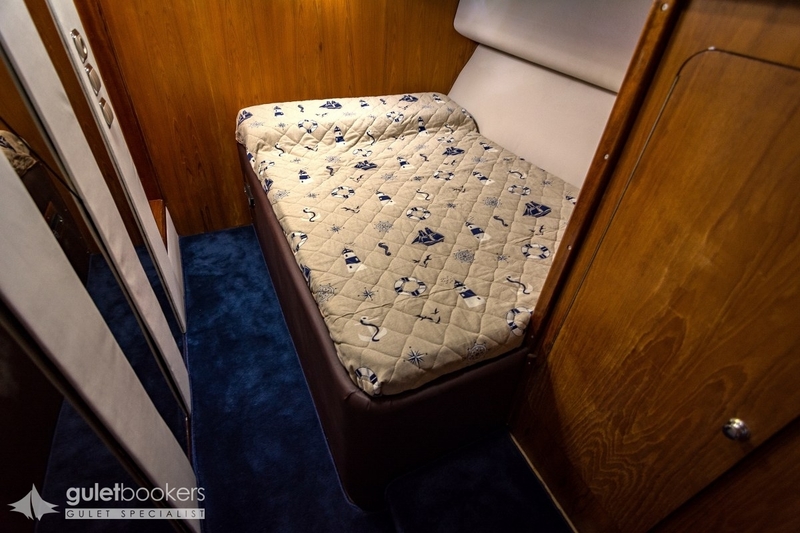 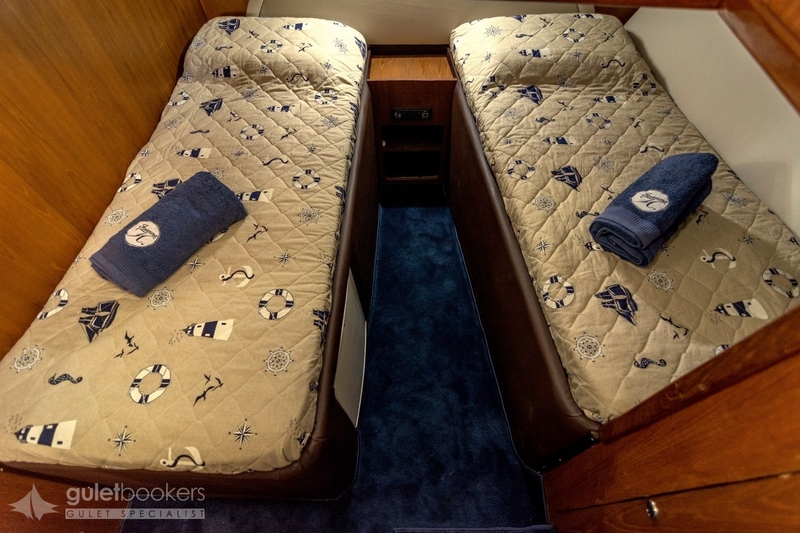 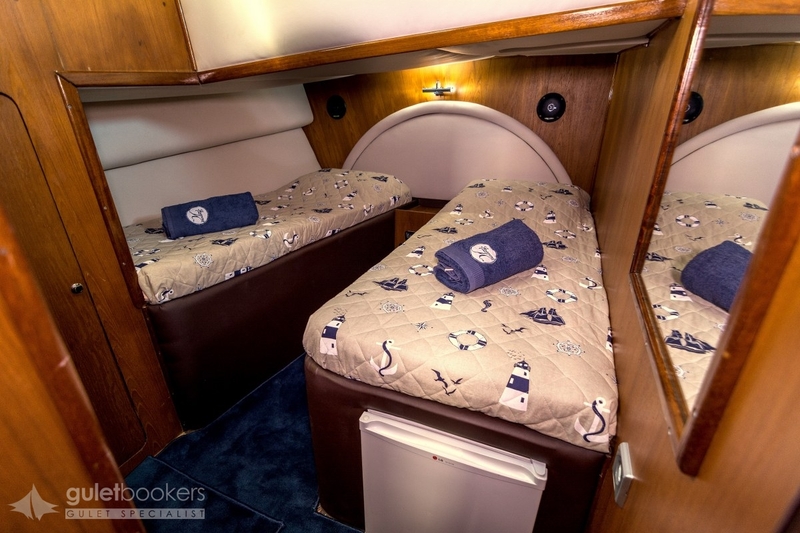 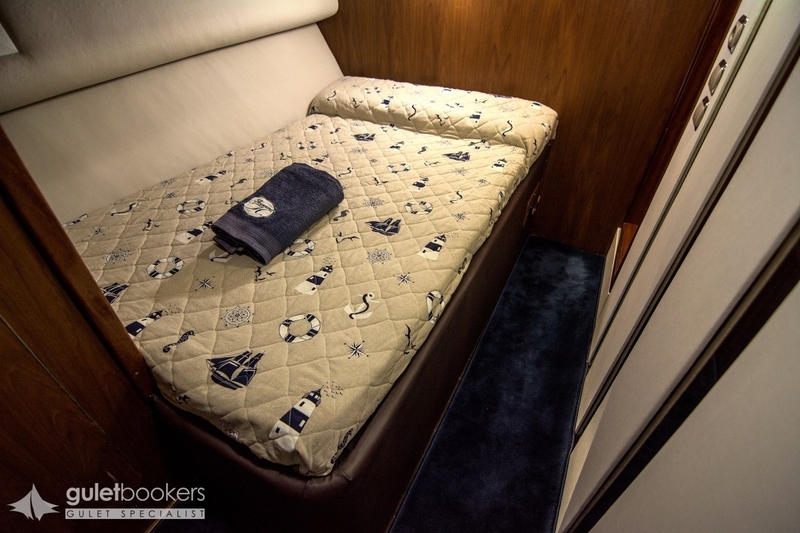 There is a wine cooler and mini fridge on the aft as well for full enjoyment. 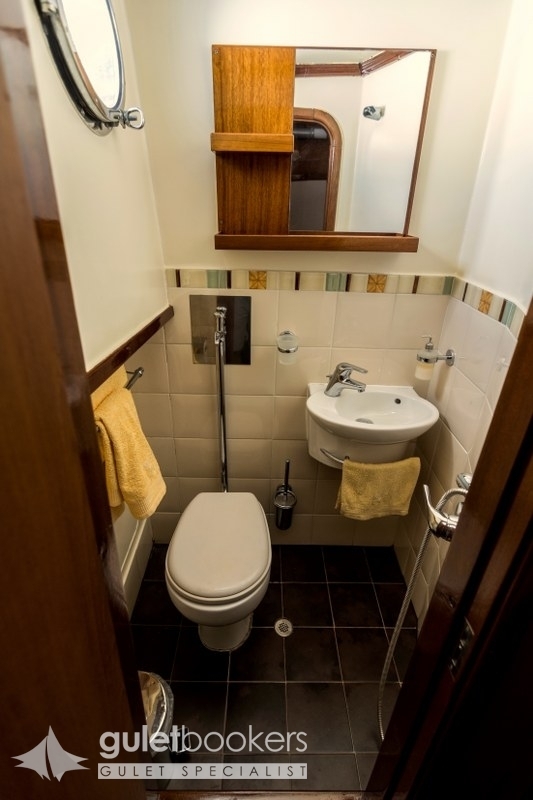 At her fore, there is great space for sitting and lounging and privacy! 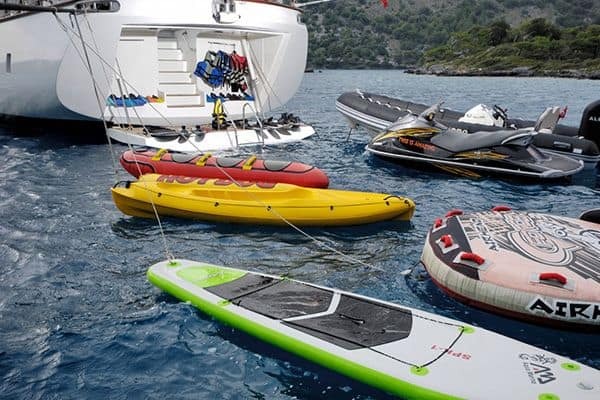 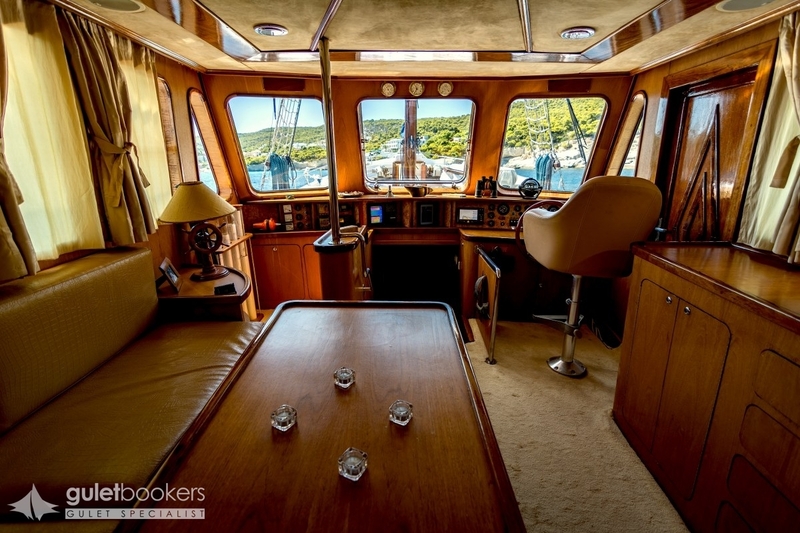 Yacht Joanna K is equipped with sea toys and a wonderful, eager crew of three. 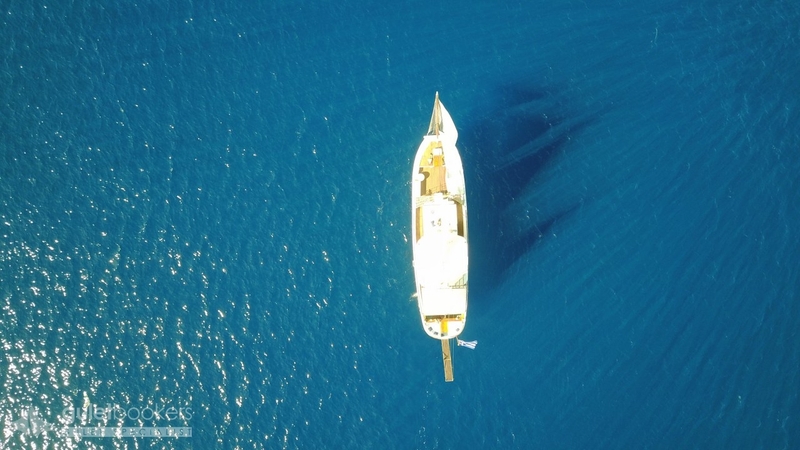 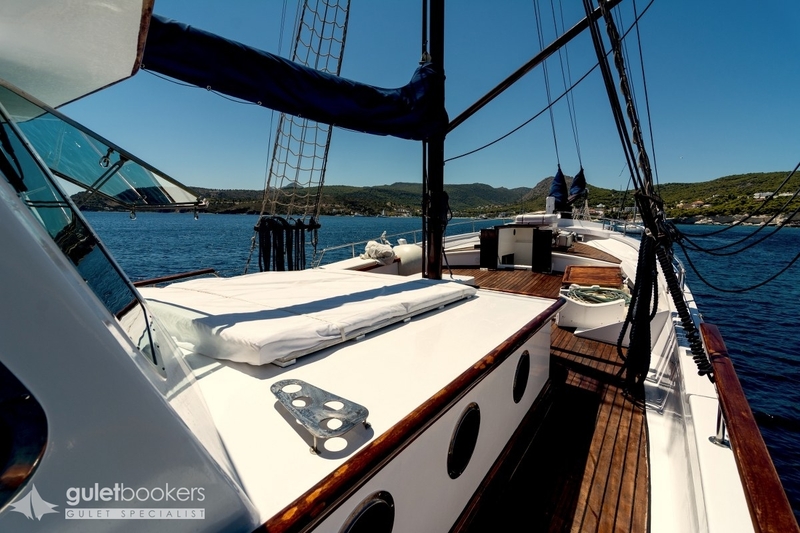 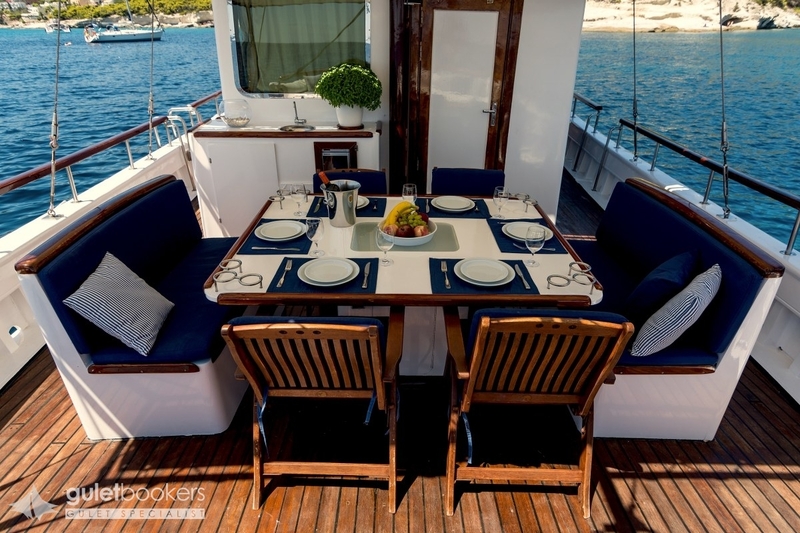 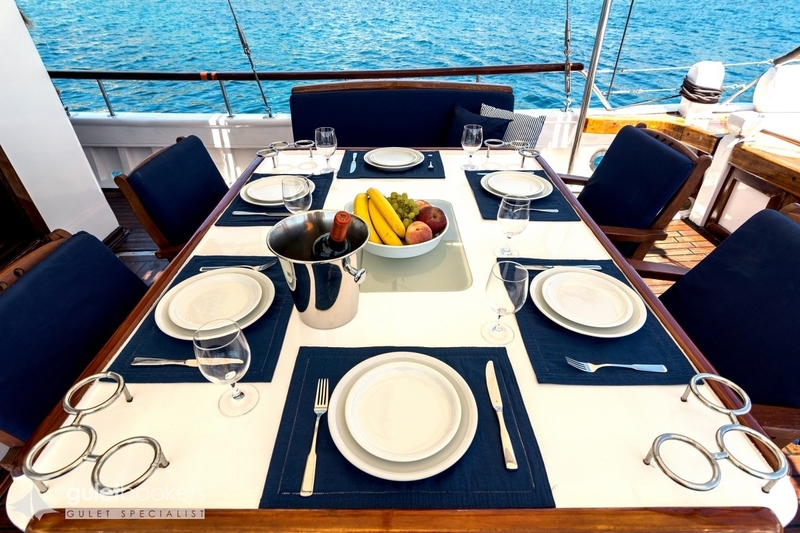 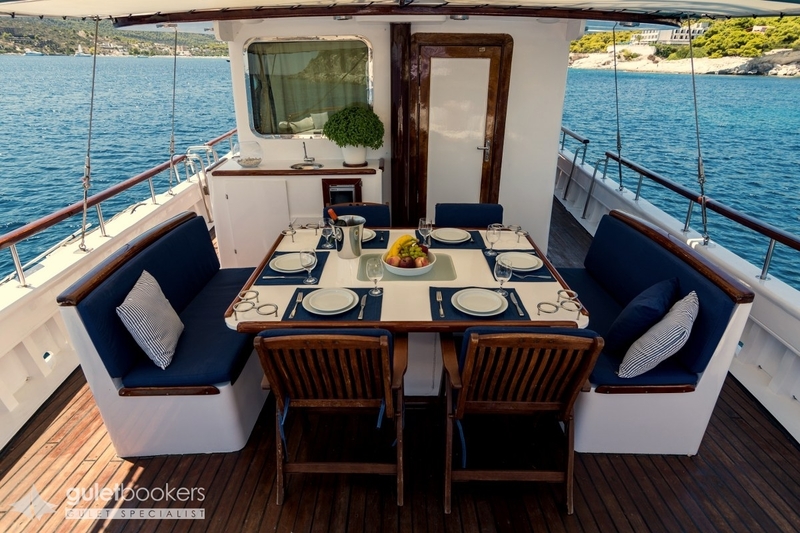 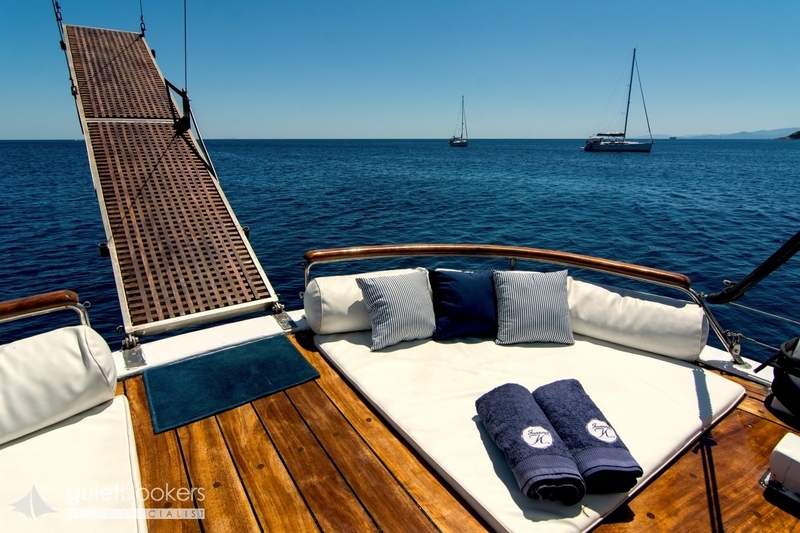 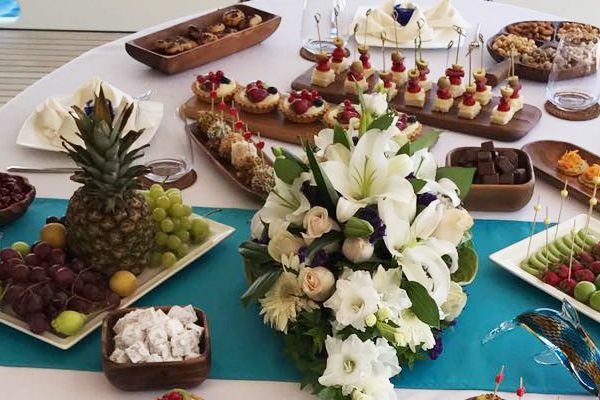 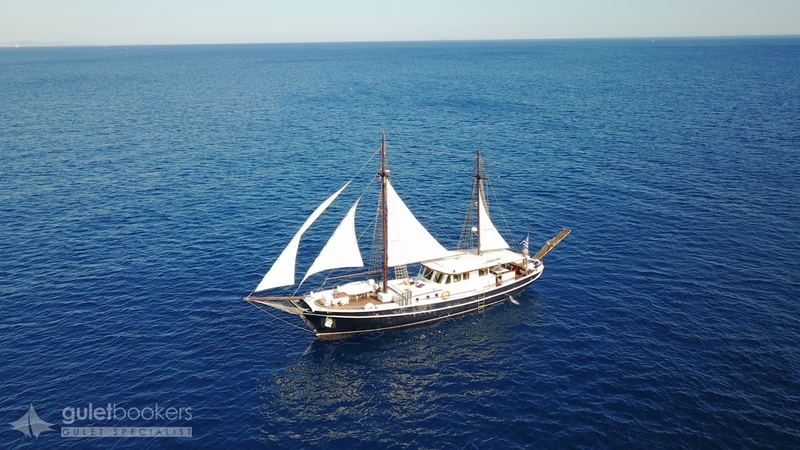 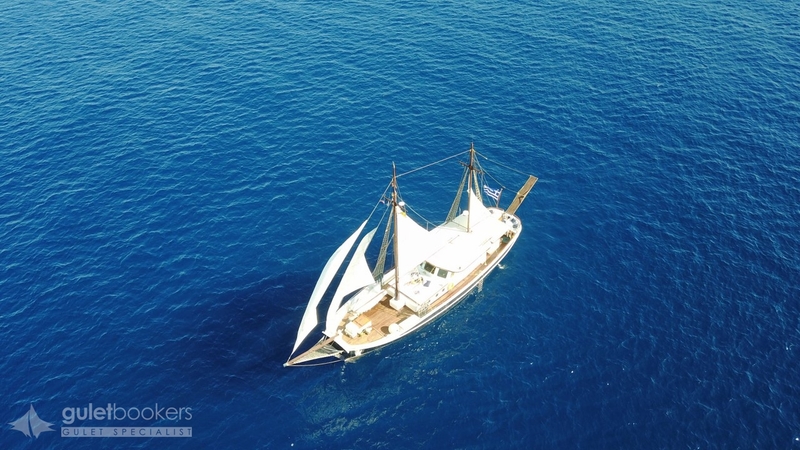 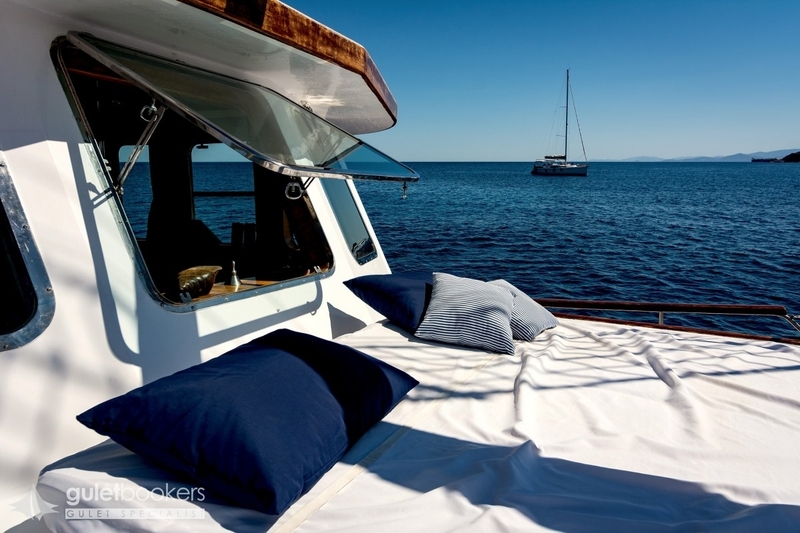 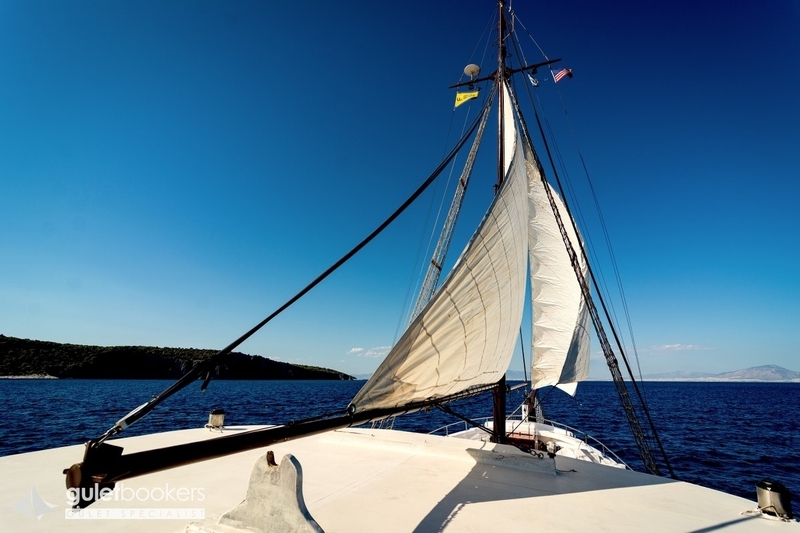 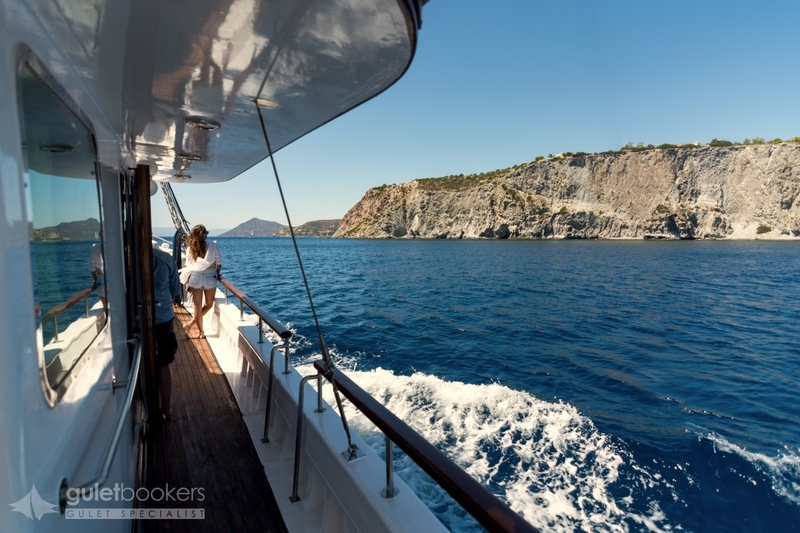 As well as week charters , gullet Joanna K consider enquiries for day cruises in Greece and she can accommodates 16 passengers for daily trips in Greek Islands cruises.